I think this is important enough to publish a short post in relation to those who raise false assertions that gold consistently represents value over time using the purchase of a suit as an example , contrary to these unqualified assertions a suit cost nearly 6 ounces of gold back in 1864, where we could of purchased almost 10 suits for 1 ounce of gold at its all-time high in 2011. As you will see below, calculating for the 2011 all-time high (as well) demonstrates an even more pronounced mis-representation of historic prices by 57-fold. Original Source : mike montagne founder of PEOPLE For Mathematically Perfected Economy™, original (1968) architect of mathematically perfected economy™, and principal author of the global amendment for mathematically perfected economy and absolute consensual representation™(C) Copyright 2014 by mike montagne and PFMPE™. Its just dawned on me . What is MPEs 1.1.1 ratio ? What is the relationship in regards to the Gospels of the bible? 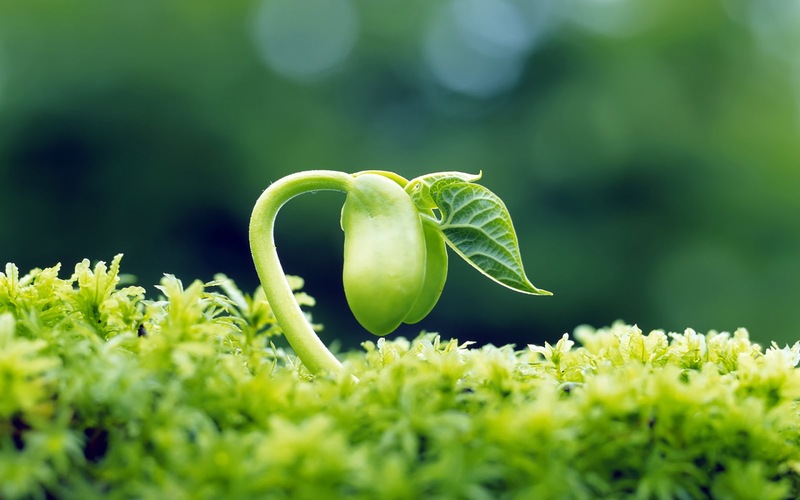 1: (Creation) Spirit of GOD or seed. 1: (remaining value) Maintaining growth in Gods tree through the seasons of soul spirit baring adolescent fruit. 1: (remaining obligation) Maturity of the tree acquiring the spirit of Christ which bares mature fruit, repeating these cycles every season until the tree is no more & returns to the earth it was originally germinated or conceived. Keeping in mind nothing on this earth physically lasts forever including fruit that has a shelf life & with each bite we are consuming its value that can only give further credence to MPE which conforms exactly to the laws & principles of nature & life which are: balance, equilibrium, homeostasis, synergy, symbiosis, abundance, evolution, expansion, metamorphosis & FREE WILL. As in nature, so in MPE: simple, holographic, mathematically perfect & reciprocal. Indeed God is an eternal spirit who belongs to each & every one of us , God has no gender but a seed of all life as we should rightly know it ” GOD SPIRIT “, & thus the individual soul having the spirit of God is the beginning or adolescent growth & of course the Christ spirit of God through the soul of man is upon mature growth of God Spirit & this is the true trinity in the spirit of God plain & simple , not any false representation of god, gods or goddesses in the flesh. 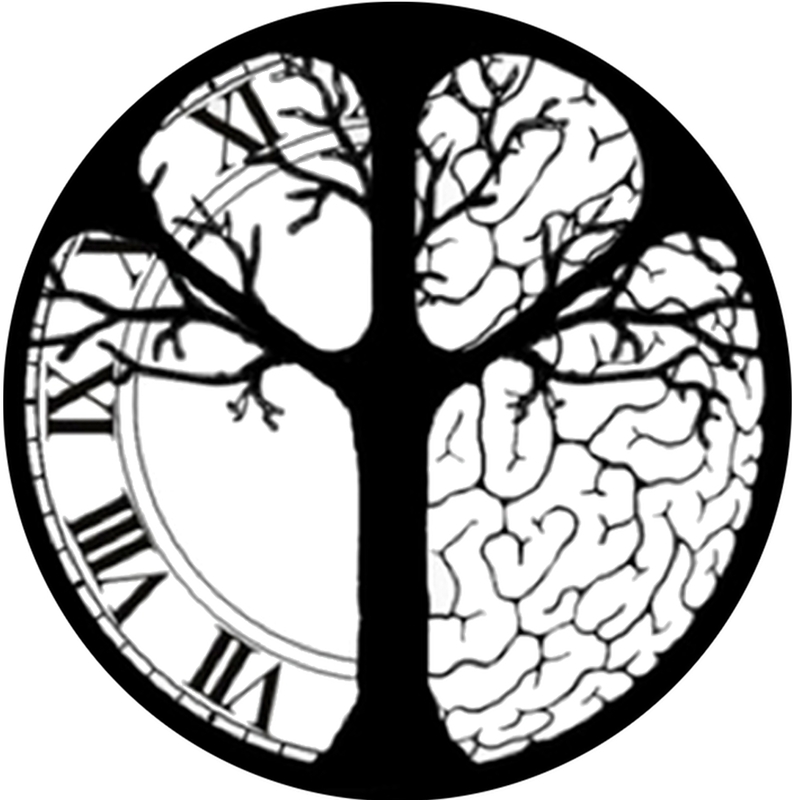 I’m absolutely blown away with this stroke of revelation with the 1.1.1 ratio in contrast with not only the trinity of God spirit within us (well some of us) but the tree of life of all things , this cant be just a coincidence. As a child I was brought up as a Christian & the teachings of the bible was on the most part contradictory ,obscure & confusing ,but of recent I have been revisiting my teachings of the bible in an attempt to make sense of it all & to my conclusion after much soul searching I have concluded the Bible has been greatly obfuscated to make something appear to be true when it is indeed not, so upon using rational logic & much contemplation in methodical reasoning of deduction, observing all information new & old I have concluded all sexual connotation in relation to the one & only God is derived from the masonic Jew / scribe pharisee obfuscations of the Gospels within the bible , which are pertaining to false Gods such as king , Lord, father, son, sun, EL, Falice, Obelisk, bulls , golden calf’s, & mother , Isis, phallus ,yonic, vagi etc, all false representations or purposed misrepresentations of God & who do you think is possibly responsible for these misrepresentations today? see the video below . The purported father, son & holy spirit/ghost pertaining to the holy trinity of God is essentially a purposed misrepresentation or lie so one is in turn worshiping false gods, not only in the flesh, but possibly the idol worship of banking itself for hundreds if not thousands of years now, which is in my opinion the one world religion of Anti-christ, whom all on the most part partake & practice in today, & yes, this even applies to self proclaimed atheists, nevertheless imposed on the world for well over a millennia now. John 6:63 It is the [Christ] spirit that quickeneth [quickening /born again]; the flesh profiteth nothing: the words that I [Jesus] speak unto you, they are [Christ] spirit , and they are life[eternal life]. The soul, or image of God spirit / seed is of course man or woman in the flesh, which is the very conduit for the spirit of God to manifest into Christ spirit , keeping in mind man is only a copy or image of God spirit further represented in the flesh, therefore the soul is most definitely a part of the trinity for if there was no soul there is no path way for any growth of spirit & soul. All one has to do is personally address the beast within each & every one of us & choose between good or evil / Christ or Anti-christ, however those who seek the external Christ or Anti-christ without truly addressing what is within first will indeed remain everlasting blind in self condemnation. Romans 8:9 – But ye are not in the flesh, but in the Spirit, if so be that the Spirit of God dwell in you. Now if any man have not the Spirit of Christ, he is none of his. John 14:17 – [Even] the Spirit of truth [Christ Spirit]; whom the world cannot receive, because it seeth not, neither knoweth: but ye know ; for [Christ Spirit] dwelleth with you, shall be in you. Money is indeed the clue to ones salvation here if one truly follows it all the way back to not only its conception creation but its very origin in time , beware of false profits who pretend to expose this information often in self contradiction using then unqualified assumption or just hear say of others without any formal proof or evidence. Jesus didn’t come to bring peace but a sword , upon asking the right questions we find the sword of an irrefutable truth & one acquires self immunity, unity on only one proof of solution therefore is the only thing that will manifest heaven in righteousness on earth, once found & to deny this truth one is indeed condemning ones own self , many have already done so out of fear of self condemnation , fearing the act of a choice to take that extra step further to know more, in turn truly judging ones own actions or inaction’s deep down for God merely passes this Judgment, apposed to just believing more in unqualified ignorance & superficial hear say. Therefore we judge ourselves upon the question at the end of the day because we cant lie to ourselves deep down, regardless what the ego says in defense God or Christ merely passes that judgment whether its Guilty or Not Guilty. Genesis 4:9 And God said unto Cain, Where is Abel your brother? And he said, I know not: Am I my brother’s keeper? So the question I ask does anyone reading this serve mammon in all contradiction & hypocrisy? 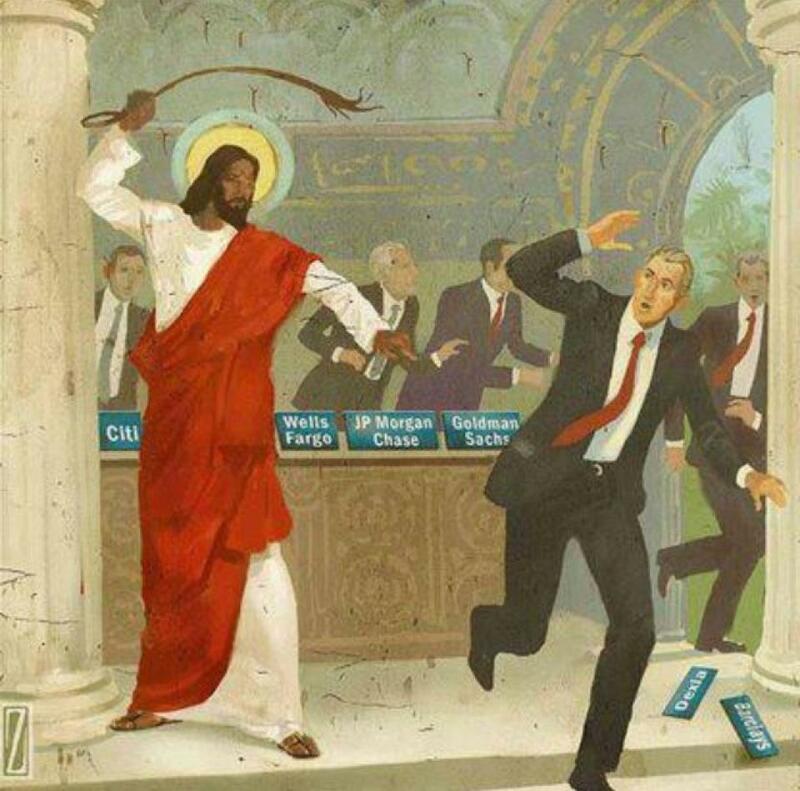 , if not why are you not turning over the tables of the money changers & not turning over the chairs of those who do serve mammon sitting idle doing nothing but participating in the crime of banking? Christ does not come to bring peace, but a sword of truth that hurts like a thorn at first; but in the end it blossoms like a rose. When one is truly mature in Christ spirit one not only renounces all false gods & subsequent slave master titles, one who is categorically in Christ Spirit knows God spirit is NOT divided, or divine at all, for it is mankind who is the divine, having the choice between good or bad, only when the grape falls away from the vine the seed becomes divined, likewise one knows ( not believes ) we are ” our ” seed/God is indeed one & the same , not in the flesh, ( mankind is not God ) but in the ONE spirit of God within ( we are not individual spirits but individual souls ) , not pretending to be above God spirit , but one & the same equal in the trinity, God , soul , Christ the transitional spirit of God , through the Soul, thus born again into Christ Spirit , for it was the spirit of Christ who was talking the parables Jesus spoke, & not Jesus alone. John 1: In the beginning was the Word, and the Word was with God, and the Word was God. Upon further revelation we might ask ourselves what does this WORD of God actually mean, keeping in mind a promise is a unilateral agreement where a covenant is a bilateral agreement, so of course in the beginning the *intent* was a promise, which created what was once possibly good. Indeed we can conclude, the spirit of God, through an explicit *intent* created man & wo/man as an image of God spirit, or creating a further representation of God spirit but yet an image of God spirit in the flesh, whereby Gods spirit through the soul of man can possibly grow & therefore mature, opposed to a lost soul possibly stunting any true growth ,worshiping false Gods ( EG; Father, Mother, Son , santa claus etc ) or even waiting for a prophet from the distant past to return in the flesh himself, doing then absolutely nothing but worshiping false Gods in the meantime, waiting to be saved by anyone else but themselves, failing then to truly address what is within first. One might then ask oneself has Gods original promise been purposely misrepresented in the same manner banks purposely misrepresent our promissory obligations to each other? One might then beg to question has the bible or various other religious text’s over time been likewise purposely misrepresented in a mere attempt to deter or prevent man kind from ever truly maturing into the perfection of Christ spirit? We might then further conclude from the outset of a promise, or the result of the unilateral WORD of God Spirit makes man a further representation & the very evidence of this original promise, one & the same, so one might then consider the money banks therefore publish may likewise be a further representation & the very evidence of our very own promise’s to each other, also one & the same, however since the conception of banking it’s been quite clear any further representation published by a bank is of course a purposed obfuscation or purposed misrepresentation of our promises to each other & quite possibly in the same process misrepresenting Gods original promise to mankind, imposing then a falsified debt by an unjust intervention on another’s promise , pretending to loan something of value the bank neither risks or gives up, essentially stealing the true value we the people give up to each other in an principal debt or a mere transaction, where there otherwise are no loans or borrowing if there was no such intervention , where a sleight of hand by a thief for well over a millennia now has been merely pretending to be the true creditor, pretending then to be the true creator, in turn quite possibly pretending to be God (false god) if you will, but yet again this unjust intervention by a thief, bank, mere publisher or corporate entity is giving up nothing of true value itself. Some may ask, if man is the image of God spirit or further representation of a promise we might then liken man to money itself , but on the contrary we must remind ourselves money itself has no value but merely further represents the true value of a former promise which is what value we give up to each other in any exchange, so man is most definitely NOT the money, nor can anyone put a price or value on any human life, not even in any so called alleged trust fund for that matter, rather man, & or money is merely the record of what has been given up, which is thereafter the very evidence of just entitlement that’s not even a debt at all at this stage but entitlement of just reward, thus any further representation is not a debt, not until that record of entitlement is used again in redemption of like value or in a further exchange of just entitlement which may also include like value of justifiable earned gain or profit. So Gods promise to mankind, or Gods WORD may well be the record & the very evidence of this is mankind’s entitlement where there are NO LOANS, NO BORROWING, much the same is our otherwise unexploited promissory obligations would be to each other, which is likewise a record & evidence of entitlement, where there are NO LOANS, NO BORROWING & again any true value can only be our labour & production we actually give up to each other, regardless of any misrepresentation or purposed obfuscation of a promise that irrationally claims otherwise. Irrationally placing a price or value on our physical huE/man body’s that only God the creator has full dominion & redemption from our very first breath to our very last is most certainly not the rightful possession of anyone else to give or take away, not even to buy or on sell, not to be enslaved or misrepresented by any dictator, not by any political betrayer or representative government & most certainly not the rightful possession of any thieving bank, false god, anti-christ entity who is merely pretending to be the true creditor in turn pretending to be the true creator of which was once originally intended to be good, only so those who willfully partake in a purposed misrepresentation of what was once good is taking a share in mammon at the dire expense or unwarranted dispossession of another, & the very consequence of these actions is everyone being dispossessed of all their property & wealth one by one in the very end , keeping in mind willful participation in banking exploitation only to remain silent in utter evasion & refusing then to fully address the root cause of all exploitation today is indeed willfully giving up all rights as a human being, simply because all rights are derived from property rights, which includes such property as your human body, soul or temple of God, foremost given up & still given up today through the original promise, but in return for what one may ask?. Well, what is given in return is humanity maintaining the very integrity of the original promise through our promises to each other, much like the true creditor that gives up property today who should rightfully uphold just reward received, or given up in an exchange resulting from a promise, which mankind has failed miserably to uphold, not even in any true sense of the word sovereign I might add & what responsibilities actually come with true sovereignty, particularly regarding theft & partaking in theft in a complete & utter contradiction of not only Gods law but mans law. It is a fact true sovereignty cant be taken by force or stolen, however this is not to infer true sovereignty cant be given up by the souls own free will, rejecting then what is GOOD faith from within , or possibly rejecting the true spirit of GOD within ,thus instead serving mammon , ignorantly then giving up any true sovereignty, either through an imposed deception, & or in willful blind ignorance knowing deep down one is all too well taking unearned gain at the unwarranted expense of another through no real fault of that other, thus failing to truly address the very root cause of most if not all exploitation on this planet past & present . For over 45 years now mankind’s only true salvation is an irrefutable proof of solution, or sword of truth that most in fact totally ignore & evade, where one has a choice either to remain silent, ignorantly attack out of pure fear of reality, or embrace this truth with all sincerity & learning how to obtain not only self immunity but eventual imm/unity for all, on one, & only one proof of solution, doing then what can only be considered ethically & morally right. In all seriousness to choose any other path but MPE is indeed nothing but a choice of self condemnation & ultimate destruction not only for the individual soul, but as a result the destruction for all those whom one might possibly love, so in the end, which is NOW , is our choice as individuals to either stand up uniting on one solution & be counted on a whole, or face the dire consequences of willful evasion, willful division, irrational contradiction, or purposed inaction’s that can only lead to the ultimate dismantling & complete destruction of once was created with the explicit intent of good faith , & YES, I’m referring to the destruction of the original promise by God spirit & as a result our promises to each other & quite possibly the destruction of what comes with this original promise or word which is the very seed of life. I have concluded the teachings of the bible is nothing but metaphoric story, or Journey of God spirit through the soul of man that one may learn further from if one has the eyes to see & ears to hear, however the bible appears to be purposely obfuscated having many metaphoric references to say the least for those who lack GOOD faith or GOD spirit within the soul , but sadly the metaphors are often contradictory by default to the true or original teaching behind the bible, thus keeping grown adults in the dark unfortunately , for example Jesus healing the sick was healing a sick soul that was rejecting God/Christ spirit, apposed to necessarily healing someone on the exterior or in the flesh as such, however this is not to suggest or infer there wasn’t a wise prophet we all commonly refer to as Jesus, who quite possibly walked the earth long ago , possibly born into Christ spirit at birth, well, this may have been the observation of others close to Jesus at that time who perceived what Jesus did & said was always, or on the most part ethically & morally right , beginning at a very young age, possibly with above average intelligence. Although I admit I’m not a perfect man & still learning, but what I know is these words are not entirely my own, but quite possibly the words of God spirit , possibly the spirit of Christ may well be even relaying this information through my soul so those who were once blind may see what was once hidden. John 16:13 Howbeit when he, the Spirit of truth *Christ Spirit * [ NOT THE HOLY SPIRIT ], is come, he *Christ Spirit * will guide you into all truth: *for he shall not speak of himself* [ FOR HE HIMSELF IS NOT HE OF THE FLESH ]; but whatsoever he *the spirit of Christ* shall hear, that shall he *the spirit of Christ * speak : and he will shew you things to come. HERE IS THE TRUTH THAT WILL SET YOU FREE. There is only one truth that shall set the world free & the sooner you all come to terms with the reality *banks (modern day money changers) don’t ever create or loan money* the sooner you will come to terms with the fact you’re all robbing each other on the sale, trade or transaction of our production, only to pay most of which (principal + interest) to an even bigger thief (ie: bank) . None of you would be even earning a profit today if wasn’t for perpetual reflation or further borrowing (alleged borrowing /purported loans that don’t even transpire) that irreversibly multiplies all this falsified debt both public & private into terminal debt, due to the volumetric impropriety of interest (perpetual deflation) we formerly pay out of circulation above the sum of principal in all private debt (phony loans), that steals all that much further from each & everyone of us when we spend money today, where industry & commerce is passing the added cost of interest onto the consumer in the resulting price of goods & services, plus earned profit of course which is nonetheless stolen regardless when that profit is subsequently spent on whatever. As is the ruse of the money changer likewise the ruse of banking is all quite simple really, because it plays on your own self centered greed & desires, which blinds you to the fact there is hidden hand or thief intervening on the sale trade or transaction, essentially stealing the value of the sale when you simply spend money, & its only your own self centered greed & desire that blinds you all to whats really transpiring when you spend money today. You all see what you receive on the sale (eg: new car, home, new mobile phone etc) , you’re all happy happy right?, but you all fail to see the value of what you all give up & receive from each other on that sale is stolen many, many, many times a hundred, thousandfold over due to unjustified interest on purported loans that don’t ethically or even rationally transpire in the first place, & of course again this ruse is only ever artificially sustained by further borrowing (alleged borrowing/phony loans) that perpetually reflates a forever deficient circulation with irreversible multiplications of falsified debt, without ever increasing the remaining volume of circulation above or beyond the principal representation we initially create as new money (principal only) in all private debt. Public debt, however, is just reflating circulation with already stolen money, formerly stolen in all private debt & then laundered back into circulation by political betrayers as every increase in public debt, making any or all taxation under banking a further crime of theft yet again to service but never ever pay down public debt, until such time of course in the coming second greater depression when industry & commerce can no longer service the ever greater escalations of falsified debt, both public & private. Who am not only writing this in Christ spirit but an expert in a mathematically perfected economy which you don’t have by the way, & never will so long as you’re all robbing each other only to pay it all to an even bigger thief. Its only when you all openly admit guilt & take some self responsibility for your own actions is when we can unite & actually fix this lie we all call an economy today, NOT BEFORE & we can finally govern ourselves united, free from exploitation, without the unjust intervention of thieving banks, or any regulation imposed by politicians, phony economists or bureaucrats who clearly failed primary school mathematics. I am David acting in my own God given sovereign rite, leading myself by example only, so others may learn from the teachings of my heart & likewise lead themselves teaching others to do the same, following none other but the GOOD faith in ones very own heart & soul, always endeavoring doing then what is ethically & morally right, regardless of belief, religion, race or creed. Please note this is my own personal reflection I’m NOW sharing with the world & it may not necessarily be the opinion of all other MPE advocates. King James bible, Matthew 25:14-30, Jesus parable. The servant who returned with one talent told his master he was afraid to do what is ethically & morally wrong by reaping where thou hast NOT sown, and gathering where thou hast NOT strawed: which is essentially saying he is afraid of stealing or taking unearned profit. His Master admitted he himself was a thief by saying in reply, thou knewest that I reap where I sowed NOT, and gather where I have NOT strawed, so how can stealing possibly be like the kingdom of heaven ? Matthew 13:24 Another parable put he forth unto them, saying, The kingdom of heaven is likened unto a man which *sowed good seed* in his field. Matthew 13:32 Which indeed is the*least of all seeds*: but when it is grown, it is the greatest among herbs, and becometh a tree, so that the birds of the air come and lodge in the branches thereof. It is important to note a talent was a weight or measure, for example 1 Talent = 3,000 shekels, which the servant could have doubled in Roman coin similar in weight by merely exchanging 1 Hebrew talent for 2 Roman talents. To assume banks paid interest on deposits in 33AD as they do today is somewhat irrational & absurd to say the least , apart from taxes donated into a central treasury at that time which may otherwise pay for public infrastructure returning no interest to the depositor there were no banks, simply because banking or banking debt did not entirely exist in this form back then, rather the exchange was just that, run by a pack of thieves & swindlers, an exchange that robbed people first so they could physically trade in a market, which is foremost the only real similarity in regards to today’s banks where there are no loans or borrowing nor is any legitimate debt owed to any bank or money changer for that matter & any interest allegedly earned today as a purported investment in a bank is merely taking crumbs off the table of a monumental crime of theft , therefore any alleged earnings from a bank is taking back a mere fraction or cut of the principal & interest that was formerly stolen out of a circulation which is only ever comprised of some remaining principal at most , & to deny this is to deny the elephant in the living room which is today’s perpetual re-inflation, irreversible multiplications of artificial debt, run away federal & state debt. Logically if banks were spending what they steal in principal & interest apposed to lending we would not be perpetually re-inflating circulation with further multiplications of artificial debt so as to physically pay the former sum of artificial debt, nor do those of us who have purported loans from a bank all work or invest in a bank so its even remotely possible to earn back what the banks steal. Now to the novice observer , religious or otherwise, even to the atheist , one would conclude this whole parable is clearly a contradiction to a plethora of other verses in the bible that categorically condemn usury, where on the face of it, at first glance, one may well conclude this particular parable was purposely altered or even fabricated by Scribes & Pharisees some time in the distant past in an attempt to justify theft, even modern day banking evident in more recent editions of the bible , keeping in mind it was Scribes & Pharisees who were instigating theft at the temple where Jesus turned over the tables of the money changers, unless of course the true teaching behind this parable, however unclear , may well be the following. ” To assume a talent, measure of money OR even a promise is not natural like a seed that may otherwise grow & multiply is essentially incorrect if one can identify the difference between earned profit & unearned profit , where ” earned profit / sowed good seed” is increased wealth upon ones own further production, whereas ” unearned profit / sowed bad seed ” is increased wealth upon stealing another’s production & of course one who actually see’s these differences & all the resulting consequences & crimes, truly acting then , ( NOT PRETENDING ) to eradicate the injustice of all unearned profit taking, even at its root, is indeed one who is even closer to the kingdom of heaven. ” My Personal Revelation. See an example of one who is no better than Scribes & Pharisees for he has become blind & see’s NOT the difference between earned profit & unearned profit. The clue to unraveling the truth is seeking contradictions in whatever it maybe, even in religious texts , whether they are in contrast scholarly misinterpretations, what appear total fabrications, or a riddle that may point one in several however obscure directions, where one of which upon elementary thought & much reasoning makes otherwise perfect sense, which begs us to question is Jesus returning in the flesh himself or returning to the temple of God , your human body as it was for Jesus , in mind, heart & spirit, returning like a thief in the night removing the veil of deception, giving sight again to those who were once blind , concluding we are waiting for ourselves to act in the end of which can only be a new beginning, for we are our seed or God are one & the same, not above but one & the same ( see Matthew 13:38 & 1 Corinthians 15:38 ) & of course in relation to the temple of God , even Jesus prophesied there will be not one stone left upon another in the end that wont be thrown down, possibly by doing nothing but acquiescing & partaking in theft / mammon which most if not all are doing today , waiting for someone else in the flesh to save us maybe , or on a lighter note brushing ourselves off, admitting our errors & making a choice to truly walk in the footsteps of Jesus in mind, heart & spirit, even to the extent of turning over the tables of the modern day money changers who all abide by the same ancient ruse even today. The money changers long ago were essentially exchanging 1 talent in one denominated currency for 2 talents of another denominated currency, both of which talents where nearly the same weight or measure by a matter of grams back then, so to actually purchase in the market back in the day of Jesus one would first have to give a money changer 2 talents in coin & in return receive 1 talent in another coin, so one can at least trade in the market with that specific talent of coin (today’s bank money) , therefore the money changer has robbed the individual of 1 talent for risking nothing of their own by simply exchanging 2 for 1, or taking 100% unearned profit for nothing, by which intervention is the banks first crime today stealing a sum of principal , yet if one paid a money changer any more than 2 talents for only receiving 1 talent its therefore paying interest to a money changer for the privilege of being robbed of 1 talent in the first place , much like today, however today’s banks or modern day money changers are neither risking or giving up anything of value from the get go in any purported loan, not even 1 talent , so the only difference today compared to back then is the bank is basically exchanging 1 talent for 1 talent, only pretending to risk or give up 1 talent of their own in the exchange, essentially the bank is paying your own money back to you in a pretended loan so you can at least trade in the market & only then as consequence charge you unwarranted interest for the privilege of being robbed of 1 talent in the first place, making the imposition of interest the banks second crime of theft resulting from the first crime of theft, stealing 2 talents in total , or 2X principal , for neither risking or giving up anything of value of their own from the get go. Considering the ancient money changers were stealing 100% & got away with it for so long it only stands to reason why today’s modern day money changers or banks are getting away with stealing 200% when your all duped into believing the monumental LIE your borrowing money from a bank, yet after reading this & doing nothing can only be the inaction of a coward . Ancient Gematria (Hebrew: גימטריא/גימטריה‎ gēmaṭriyā) is a Jewish system of numerology that assigns numerical value to a word or phrase. Using the calculator above type in the following words exactly minus the inverted commas “ banking obfuscation of our promissory obligations to each other “ & see what number you get? Is this an uncanny Coincidence or a sign. Revelation 13:18 Here is wisdom. Let him that hath understanding count the number of the beast: for it is the number of a man; and his number [is] Six hundred threescore [and] six. All one has to do is personally address the beast within each & every one of us & choose between good or evil / Christ or Anti-christ, & those who seek the external Christ or Antichrist without truly addressing what is within first will indeed remain everlasting blind in self condemnation. So is the above verse to possibly assume humanity is not of sin & as a result not a son or servant of perdition in any way, or does one refuse to address what is truly within? I put to the reader again are you truly turning over the tables of the modern day money changers as it was for Jesus, not necessarily in the flesh of Jesus, but in ones mind & heart ,walking after or in the footsteps of Jesus in Christ spirit in your own flesh, or does one simply serve the Anti-christ or evil pretending to serve GOD?, SO the question begs to be answered in all honesty, does one trade in mammon, does one consume mammon , possibly at the expense of another being dispossessed of all their property & wealth through no real fault of their own. Matthew 6:24 No man [ woman ] can serve two masters: for either he [ she ] will hate the one, and love the other; or else he [ she ] will hold to the one, and despise the other. Ye cannot serve God and mammon. Ancient history written in the bible tells us long ago, around 33AD there was a prophet called Jesus who turned over the tables of the money changers, accusing them of transforming the Temple of God, or a house of prayer into a market place, described by Jesus at the time as a ” Den of Thieves “ who imposed a prevention of trade within the market, unless one exchanges money first. Nevertheless as a result 30 pieces of silver was raised to place a reward for the arrest of Jesus, now the bible doesn’t stipulate who put up the 30 pieces of silver, but its no doubt in my mind the 30 pieces of silver came from the money changers themselves, consequently Jesus was identified by Judas 3 days after, silver was paid, & Jesus was put to death on the cross soon after. The ancient ruse of the money changer from early records was & still is very much alive today in the form of modern day banks who intervene in just about every market place on the earth. The origin of money tells us For millennia, we have lived in an purposed obfuscation of the nature of our currency and money creation. The imposition of currencies linked to commodities, such as gold and silver, was born out of an exploitation of our universal right to issue promissory obligations to actual creditors who give up property. Banks came into existence to impose a currency that would overshadow the intrinsic characteristic of any preexisting form of money, allowing bankers, ‘money changers’, to intervene on our industry and commerce, seizing for itself all the money ever created into circulation. Banks have never given up property or anything of value of their own commensurable to the debts they falsify to themselves and impose on us. Unwarranted interest is likewise imposed, only as if the bank risked something of their own, thus stealing & laundering circulation which irreversibly multiplies falsified debt into terminal sums of falsified debt . Sadly today, since the conception of the internet, we now have a plethora of 11th hour pretenders advocating various interest free monetary solutions, which purported solutions fail to articulate why interest is the inherent fault in any monetary system, as a result, these pretenders all fail to identify why interest is imposed in the first place & therefore advocate the banks very first crime in their purported solutions. It is therefore the ancient ruse of the money changer that these pretenders completely overlook, which MPE identifies as the very first crime a bank commits by a purposed obfuscation or purposed misrepresentation of our promissory obligations we really have to each other, before any banking book entry , when we only purport to borrow a sum of principal at any bank. What most, if not all people evade today is the banks 1st crime, where a bank merely pretends to loan a sum of principal purporting to be the real creditor , however the real creditor in any transaction is one who actually gives up property such as a house for example. The purported borrower or obligor actually creates a sum of principal by issuing a promissory note, before any banking book entry, disguised then in the form of a purported loan contract by the banks unjust intervention, imposing a purposed obfuscation upon the promissory obligation, which is a misrepresentation of a contract between a real creditor & the obligor, where both the real creditor & the obligor give up lawful consideration of value, however the bank who merely publishes a further representation ( bank money ), that evidences our promissory obligations, intervenes on the contract, which is essentially changing money, however this exchange of money is really loaning your own labour & production back to you, where the bank really gives up nothing of value except the mere cost of publishing a further representation of what both the alleged borrower & the real creditor gives up to each other. No man [ woman ] can serve two masters: for either he [ she ] will hate the one, and love the other; or else he [ she ] will hold to the one, and despise the other. Ye cannot serve God and mammon.